Plantar fasciitis is a common problem that many runners and even other people suffer from. It causes inflammation and pain on intrinsic musculature and source of calcaneal tubules. Common examination indicates tenderness near the anterior edge or the foot fascia attachment to the central medial calcaneal tubercle. The pain is mostly experienced in the morning though it disappears during the day and resumes during moments of non-weight bearing. Though methods recommended to address the issue are many such as exercises and physical therapy to help stretch ligaments of plantar fascia, the best remedy is using plantar fasciitis night splint. Plantar fasciitis can be really painful and needs quick treatment. One of the immediate treatments is to perform stretching exercises. These exercises help in keeping your plantar fasciitis in line. One way of stretching your plantar fasciitis is to wear a night splint throughout the night. It must be kept in mind that these night splints might not be the ultimate solution to your plantar fasciitis problem, but they surely are effective as quoted by many of their users. Initially it might be difficult to get used to the fact that you are sleeping with your foot boot, but with time you are sure to experience less pain especially when you will take your first step in the morning. Plantar fasciitis night splint are devices worn on the foot for pain relief. They not only attach to the foot, but also cover the lower part of the leg, and ankle to help in stretching plantar fascia ligaments and keep the pain away. They help to keep the plantar fascia length constant when you sleep so that the muscles in the triceps surae make the joint to take a plantarflexed position. At plantarflexed position, intrinsic muscles and plantar fascia shorten and get to night non-functional state. Strain is retained within intrinsic musculature and plantar fascia so that the functional length is maintained to help lower sudden stress that accumulates on the plantar after resting. The splints can be positioned at about 5-15 degrees to your leg. Besides, one can add some padding on the anterior to maximize stretching of plantar fascia. Though they may be a little uncomfortable at the beginning, many people get used to them over time. The main cause of plantar fasciitis is released ligaments and muscles that get strained after period of rest. However, plantar fasciitis night splint help to keep the muscles stretched all the night to reduce associated strain when one wakes up. The plant keeps the foot and even ankle well supported and stretched at the right degree for complete pain relief. Unlike other methods of treating plantar fasciitis, the splints are adjustable depending on the level of strain and pain you experience in the morning. You can adjust the angle of the splints or fit some padding on the anterior for extra stretching. At the beginning, you might want to start with just little stretch and then tighten it with time as you get used to the splints. While some physicians recommend use of drugs, plantar fasciitis night splint is a natural remedy. The splints help to keep the feet in their natural stretched position and clear pain away. As a natural remedy, you are sure of keeping away from excess chemicals that often accumulate in the body and at times results to extra harm. With time, the brain takes to the stretched position and you will not need to wear them any more. Using the Plantar fasciitis night splint is easy and enjoyable. While other methods such as medical procedures involve following strict prescriptions, in this case, you only need to wear the splints. Before sleeping, simply wear the splints and you will realize the pain is no longer there. Whether you have small or large feet, be sure of getting an ideal fitting plantar fasciitis night splint to help clear the strain. The splints are also available from different materials, designs, and brands for enhanced effectiveness. Simply understand your foot and nature of the pain to pick the best splint. Contrary to many people’s thoughts that plantar fasciitis night splint can compromise your ability to sleep, you will enjoy every minute of slumber. The splints do not cause strain to extent of bringing pain and keeping the mind awake. However, they keep the foot stretched well to avoid muscles relaxation. Though you might find the splints a little uncomfortable at the beginning, you will get used to it within a few days. You can also start using the splint when worn loosely and tighten it as the feet get used. 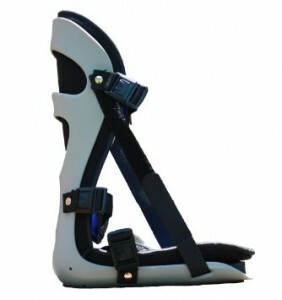 Many designers of plantar fasciitis night splint focus on quality and weight. They want people to feel as natural as possible when sleeping and clearing all the pain disturbing them. Though the intrinsic musculature and calcaneal tubules among other feet muscles will remain stretched, the sensation will be minimal because the splints are light and keep the feet as natural as possible. Designers have adopted new design technologies that ensure the materials selected are lighter but firm and highly effective in keeping the foot stretched. In some designs, the splints have straps to hold the foot in position and maintain the stretch all night. Think of many joint problems that require complicated procedures. It is no different with plantar fasciitis. One of the remedies that people can go for is surgery which is very costly. 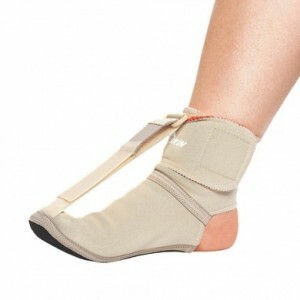 However, plantar fasciitis night splint is a cheap and reliable solution that every person can afford. The splints are available in different stores and buyers can pick the pieces that are more effective, reliable, and cheaper. Some stores even offer the splints at discounted prices so that more buyers can afford them and treat the disturbing plantar fasciitis. For your convenience, we have put together a list of the top 6 best plantar fasciitis night splint. We have enlisted their highlighting features, pros and cons. Being one of the best night splint brands in the market, Bird and Cronin plantar fasciitis night splint alleviates the pain that you face with your first step in the morning. It is designed with a slip-resistant sole that makes this night splint light in weight. Its overall shape yields a great dorsiflexed position. They come in a variety of sizes and colors. Pros – relieves plantar fasciitis pain especially the excruciating one in the morning, perfect fit, comfortable and no feeling of irritation whatsoever while wearing this night splint. Cons – sizing inconsistencies, might cause foot numbing if the splint is wrapped tightly, cannot move around in these splints properly. Alpha medical plantar fasciitis night splint is giving a hard time to its competitors by its simple yet effective design. This night splint is light weight with hard exterior shell for greater arch support and soft foam interior for better breath ability of the feet. With its 3 padded straps mobility becomes easier. Pros – helps in escaping morning pain, comfortable, fits perfectly and comes with an additional wedge for toe support. Cons – Might be uncomfortable initially, middle strap buckling issues, foot gets numb if you don’t buckle properly. This dorsal night splint from Futuro has a simple and a compact design that produces great results. It helps in maintaining 85-90 degree recommended position of foot. It is made up of a soft foam material that is comfortable as well as great in breathability. Futuro has also released one with adjustable foot straps. Cons – easy slippage, takes time to adapt to and adjust in. Cramer E4 is another great Dorsal Night Splint in our guide. It is constructed in a convenient small size which makes it light in weight and better in comfort ability. It is built with a purpose of holding your feet in a neutral posture. It comes in 2 sizes; small and large. Cons – does not provide perfect fit, might cause slippage and numbing of the foot. The Swede-O deluxe night splint as the name suggests is a fully padded boot brace that helps in keeping your feet comfortable throughout the night. With its unique design, greater mobility is achieved at night. It is truly one of the most loved night splints available in the market. With its soft sock like design Thermoskin Night Time Relief FXT is one of the more comfortable night splints that helps in relieving plantar fasciitis pain. Its FXT pulls the toes back keeping your feet fully stretched throughout the night. To be sure of getting the right splint, here are some useful tips to follow. Understand the nature of your pain. This will help you pick the splint that covers the foot only, rises to the foot, or even reaches the knees. Pick splints that are light and strong. Your foot is a strong organ and requires firmly built splint. They should be able to hold the foot in a stretched position without getting damaged the entire night. Pick the splint designed by top brands. Though many brands have entered the market, the best splints are those made by top rated companies. Only use splints with top rating on consumer review sites. When splints are released, past users and experts review the design and other parts to give their take on its effectiveness. Look for the splint that is more affordable. Though the focus should not be picking the cheapest because it might be of poorer quality, look for what falls within your budgetary capability. Why Use Plantar Fasciitis Night Splint? Night splints help in stretching the plantar fascia by positioning the foot in a 90 degree dorsiflexion. This way the extra-ordinary pain faced in the first step is considerably reduced. Keeps your calf muscles and Achilles tendon stretched out in a proper manner and prevents them from aggravating the plantar fasciitis pain. 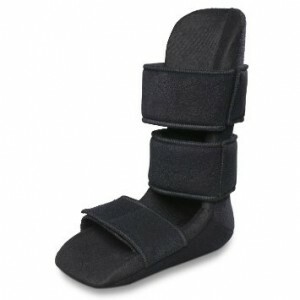 Disadvantage of Wearing Night Splint: While wearing night splints, one might feel like wearing something as heavy as a snow boot and hence has to go through an inconvenient situation. When you go out to shop for night splints, you will come across two main types of these splints that will help you with your plantar fasciitis; the boot and the dorsal. Both types are equally liked by their users. 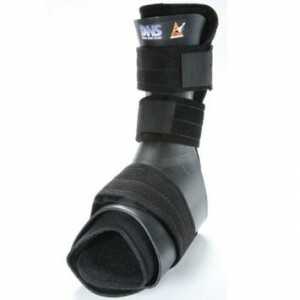 As the name suggests, this night splint has a design similar to that of a boot. It is made for the back of your leg, calf till the area under your feet. The size of the brace is a bit larger as compared to the dorsal one. The common problem with these splints is that they are big in size and uncomfortable in their feel making your toes go numb. If by chance you have to walk in these, you simply cannot do so. In the dorsal night splint there is a hard plastic support at the upper part of your foot which keeps it firm and in a 90 degree position. As the back of your foot that is the heel and arch isn’t covered you are prone to slippage. Due to the unique design, toes feel tangled and larger straps increase sweating. Many studies have been undertaken with the purpose of finding the effectiveness of night splints. Most of these proved that night splints cured or reduced the amount of pain users experienced because of plantar fasciitis. One study used a random sample of 15 patients where each one was required to wear night splints. After 12.5 weeks, it was found that indeed night splints are useful in curing plantar fasciitis if they are paired with Ibuprofen and stretching cushions. In another study in which 30 persons were involved, various experiments were conducted and the result was healed plantar fasciitis with the help of a night splint and arch supports. Plantar fasciitis has become a major problem to many people and common remedies do not appear to bear results. While drugs and medical prescriptions take longer and might bring negative reactions, plantar fasciitis night splint are easy to use and guarantee results after a short period. To be sure of enjoying even better results, consider reviewing the different plantar fasciitis night splint in the market, evaluate their effectiveness, and read through customer feedbacks.